@GorudenRyu wrote: Glad Michael goes, we'll have our reporter. @GorudenRyu wrote: There is especially a "special announcement" so most definitely the release date for Kiwami 2 (and maybe HgG). Let's not get our hopes up. What should I ask if I get the chance? Michael wrote: What should I ask if I get the chance? Kiwami 2 and Ishin possible localizations. You mean what basically anyone else would already ask? Nah but that's a good suggestion otherwise. Ishin probably won't get localized any time soon though, if at all. That said Kiwami 2 is probably going to get asked about a bit at the Q&A knowing what people would have direct interest in. 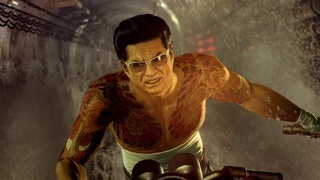 Perhaps to ask in view of the evolution of the mentalities around the Yakuza, on the side of the players and on the side of Sega: can one hope for a world release for Shin Yakuza (or of better delays of localization). And if you can think of European friends: a translation Multi5 (another testimony of the foundation of the license) ..
For Horitomo: "Are you force of proposal for Yakuza tattoos?" If so, did you manage to negotiate with Nagoshi and Sato for a Yakuza with a cat tattoo (his specialty)? More seriously, how do you approach Shin RgG, is this a renewal for you too? Can we expect surprises about tattoos of future characters? SO, it's the next day and here's what's up. I came into the event not really knowing what to expect, and ended up not really getting as much information as I had hoped. I got there at 3PM (when doors open), and I waited in line for about an hour and 15 minutes. Finally got into the place and was able to buy some stuff, and then they closed the gallery for the Q&A until 6:30, wasn't able to get in until then. I didn't really enjoy the event that much, I was already really tired and was pretty grumpy haha. That said I met some lovely people in line who were pretty passionate about the series and SEGA in general. I'm glad I went overall, I hope you're excited for Kiwami 2! Sorry I didn't get as much out of this as I could have.